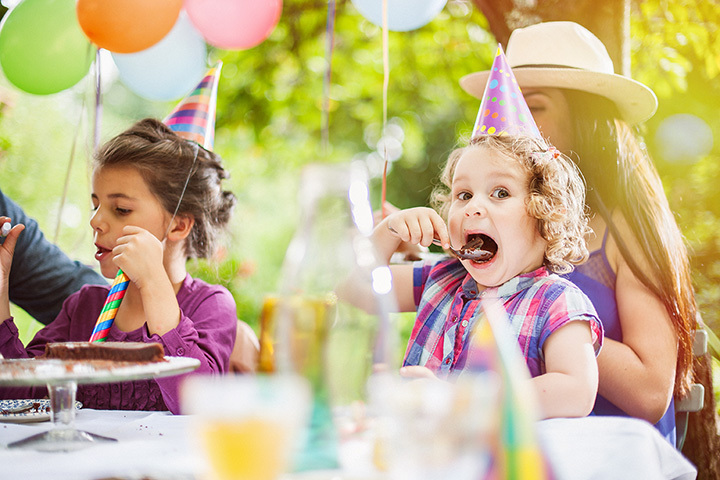 Throwing a party for your child is all about making them feel special on their big day. Planning their celebration at one of Indiana’s exciting venues for birthday parties is a great start. From birthday packages that include clean-ups and food, to fun zones with bowling and arcade games, these are the ultimate kid-friendly spaces. Here are the best places for a kid’s birthday party in the state! Bowling parties will never go out of style. Take your child and their friends to Pinheads Bowling in Fishers for a night of fun, food and games! Each package features two hours of bowling, shoe rental, and an arcade card, and if you want to upgrade, upgrades include t-shirts, candles, a souvenir cup, and additional lanes if need be. Have a ninja-themed birthday party at the Ninja Zone and an experience you’ll never forget. Each party guest will walk away with memories, and a free Tour n’Try pass which allows them to come back again for another class experience. Your child can be a ninja for a day with a special Ninja headband, and they and their friends can enjoy over an hour of supervised play in the Academy itself with two qualified instructors. Pizza, plates, cups and silverware are also provided. Who wouldn’t want to have a birthday party in a bakery? If your child has a sweet tooth (or if you yourself have a sweet tooth), your child’s next birthday party should be at the Titus Bakery and Deli. Reserve the party room, and get a special doughnut for each child to decorate with their choice of fillings and toppings, your child’s picture on the TV screen as a welcome, and a special tour of the kitchen. Add on packages include a boxed lunch, birthday cake complete with candles, and even a magic show! There’s so much to see and do at the Children’s Museum in Indianapolis. All birthday parties include a brightly colored party room, a special throne chair for the birthday boy or girl, child friendly music, and tickets for a ride on the indoor carousel. There’s also an option to build your own birthday package or an all-inclusive package which includes themed party ware or decorations of your choosing, as well as two large pizzas. You can also add a cake and reserve one of the museum’s many child friendly exhibits! The Imagination Station in Lafayette is the perfect place to host a birthday party. Birthday party package includes free regular admission to the science center, use of their large multi-purpose room to set up, with all table covers and plastic ware provided. It’s a great place to let children explore the world of science and to indulge their inner scientists while having fun! For your child’s next birthday party, take them to the Washington Park Zoo in northern Michigan City! Rent the entire zoo for a day or just part of it and let your child and their friends enjoy a day of animals and adventure. Activities can include a special animal presentation or mascot visit, individual or group photo, a special birthday gift, and so much more. Painting Fun Spot has been entertaining children and adults alike for over seven years now. It’s a place where everyone can come and indulge their inner artist. You are never too young or too old to create a work of art is the motto here. And what better way for your child to start exploring their artistic side than having a birthday party here? Let your child and his/her friends paint on a canvas or explore the world of pottery. The days of roller skating may have gone by the wayside in some places, but not in Warsaw! Book your child’s next birthday at Hansen’s Roller Skating Center in the Eastlake Skating Center. There are a variety of packages to choose from that offer fun on all levels. Choose from the standard package which includes regular skate rental and one ice cream cup per guest, two pitchers of pop, and glow sticks. Additional packages include pizza, your choice on music and games, inflatable bounce houses and obstacle courses. No matter the package you choose, you and your child both are bound to have fun! Give your kids something different on their birthday and head to Peewinkle’s Puppet Studio. Located inside the Indiana State Museum in Indianapolis, Peewinkle’s is an experience like no other. This 65-seat old-world style puppet theatre is filled with charm and character, as well as fun! Book a party here and have a special show just for your child. Want to make it a little more special? Bring your child and their friends in for a two-hour puppet camp in which they can see a mini show, make their own puppets and learn how to use them! It’s a one of kind, unique experience that every child should be able to do!